Our darling Frankie is just under two years old (21 months). 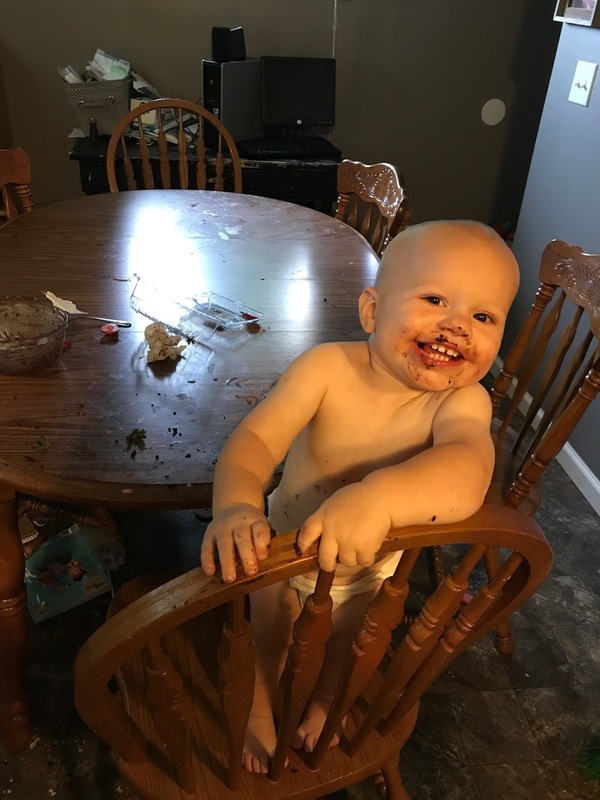 He's changed a lot over the past year from the sweetest baby to (no kidding) the wildest toddler. 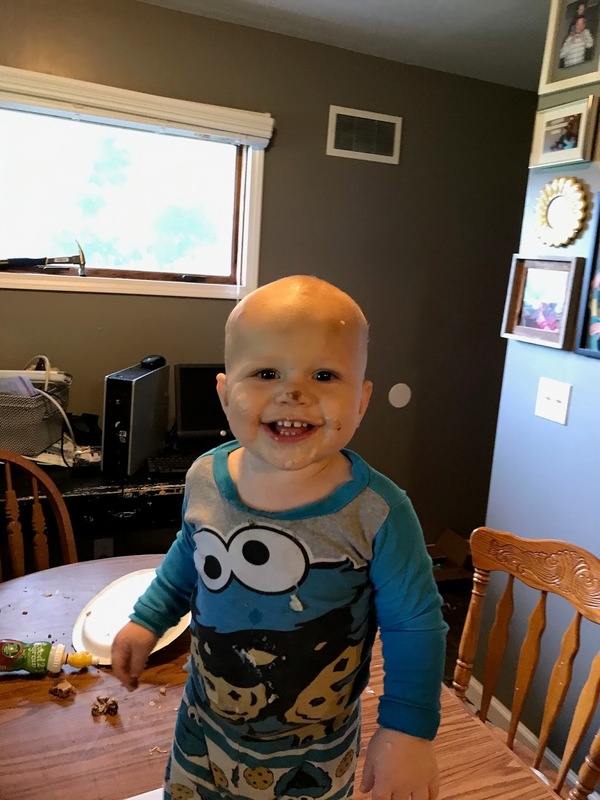 Because of his sweet nature and infectious laugh, it is so hard to be frustrated with him, but life is so different than when he was a baby. I've been trying to pinpoint some of my stressors lately, and I have to say, the stage he is in is one of them. 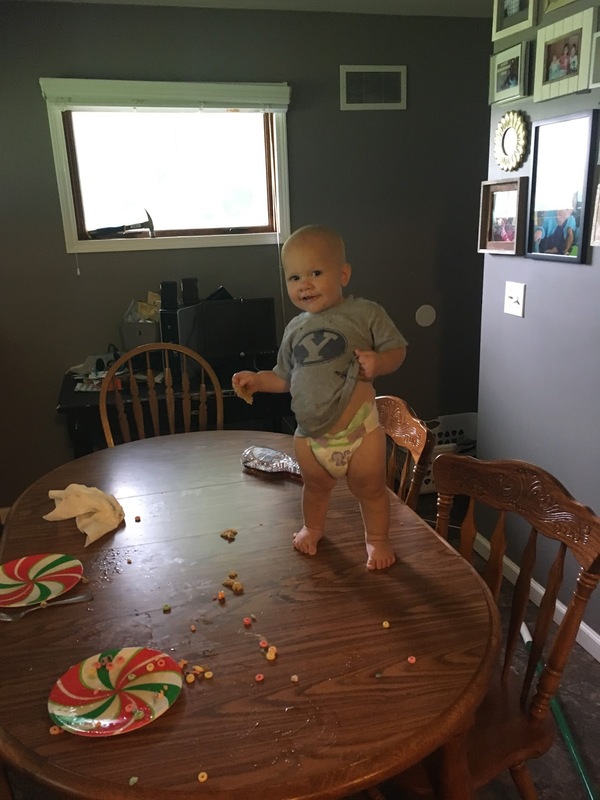 While I've had three other toddlers before this, I've only had one other baby that has reached this level of "wild." That would be Cheyenne, who is now 7. We consider this wildness the "thinking gene," a natural curiosity about everything, something to do with their dad being an inquisitive engineer. My mom calls it cheekily "a defect in their DNA." Ha! Cheyenne completely grew out of the "destroy everything"-mode by age 5, so I have a lot of hope for Frank. However some days I wake up and find myself asking, "What can we do today? If we stay, he will destroy everything, if we go somewhere, he will destroy everything." We can't read books without chewed-up pages, play toys without all of the boxes being dumped out, Frank can't even sit down long enough to be distracted by a movie. If I'm not careful it can become so that I never want to get out of bed. But I have to remind myself to take it one day at a time. Life by the yard is hard, but by the inch is a cinch. I have to remind myself, I've had a kid like this before, remember? And I have to remind myself of what I've learned. -Curiosity is good. Tearing things apart is curiosity, he is simply trying to figure everything out. It is how he interacts and learns in his world. 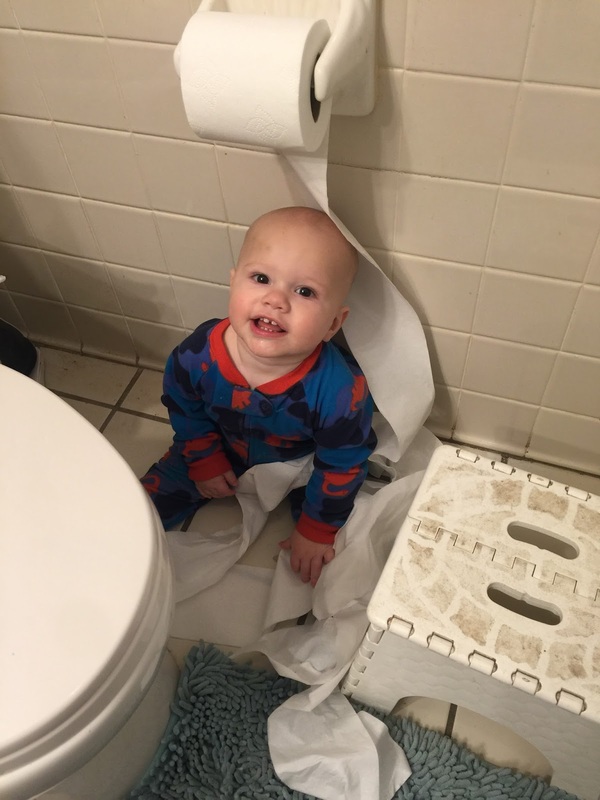 As a parent, my job is to make is possible for him to still be curious and interact with his world without it destroying our house. -Because of that, I've been way more aggressive with the child locks, gates, and locked doors than I was with Cheyenne (truthfully, I didn't care too much about my house being clean back then. Now I do!). They will be curious no matter what-- let it be a safe place where you don't care as much what happens to the things they are playing with/destroying. -At 21 months it's not about teaching (when I think about these two intense kids I've mothered). Some kids, yes, but not intense ones. I'm not exactly sure when the switch is (maybe 2 or 2.5? 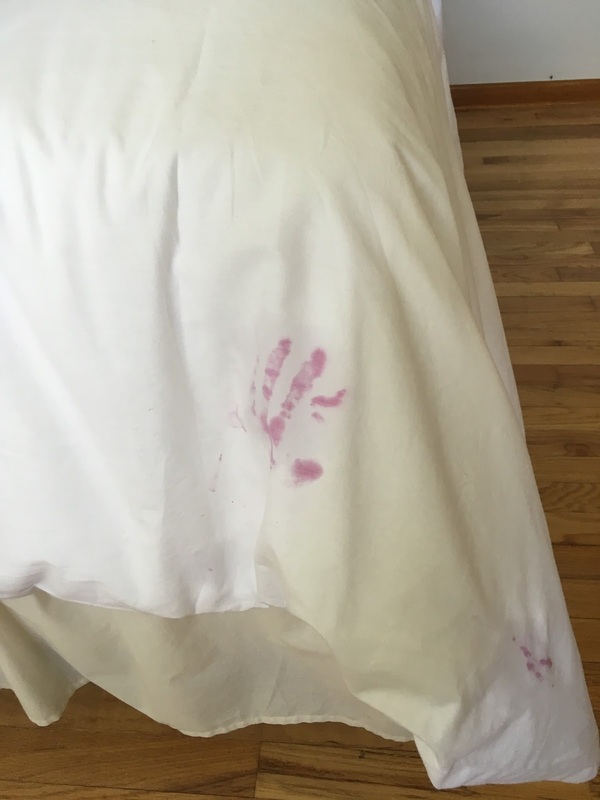 ), but as I've learned in the past with Cheyenne, trying to teach her not to touch something before she is actually able to consistently do it will simply leave me frustrated and even angry. -It's much more important to have a positive relationship with your child. Because it's so hard for them to learn, seeing you upset doesn't teach them anything, except teaching them to get angry themselves (I think this was my mistake when Cheyenne was a baby). Keeping them in places where they won't break things you will be upset about means you have less of a chance of freaking out. -Spend moments everyday enjoying your child. Frankie loves to laugh, be sung to, tickled, play peekaboo, be chased, etc. You have to have moments everyday where you, yourself find joy spending time with your wild child. It really does change your relationship. -Use a restraining device when you are out. Once a child can walk, most people ditch the stroller or only use it for long activities. I use a small fold-up umbrella stroller with Frank everywhere, and always keep it in the back of my car. 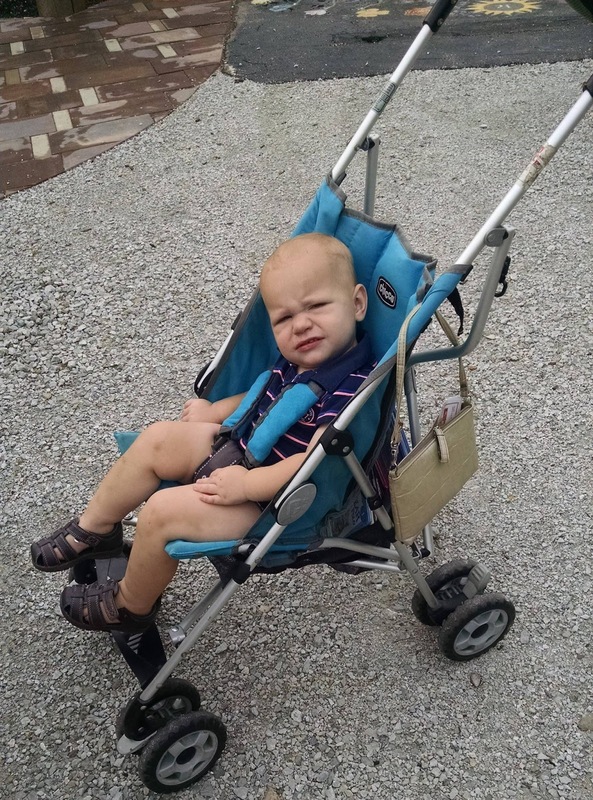 If we are going to the park, he starts out in the stroller. If we are going to the library, he starts out in the stroller. Of course he doesn't like it, but as a family we can enjoy those activities a lot longer than if I didn't restrain him for the first half of the activity. If you do it enough, your child will get used to it. -Get out of the house. I am a "stay home" kind of person. But with a wild child, I've decided, getting out of the house is a must! Both you and your child need a break from the confines of the house and worrying about your stuff getting ruined. -Sacrifice for good sleep. Do the hard thing. I used to be anti "sleep crutches" as I thought they were. Fans, black out curtains, whatever they were, I wanted to have one of those kids who could sleep through anything. My life experience has taught me, however, that if you can sleep through anything it has more to do with your genes than anything else. My husband is a light sleeper and so are Cheyenne and Frank. Babies need sleep! Get the fans, the blackout curtains. You are saving yourself a lot of headaches by allowing your kids to get the sleep they need. With both Cheyenne and Frank, we've had to use the "cry it out" method when they wouldn't stop waking up at 5am as toddlers. Yes, they cried for two hours. Intense kids like this will do that! But because we had fans on, we were able to sleep! Eventually, they do learn to wake up at a normal hour. -Read Raising Your Spirited Child again. I remember it being so helpful with Cheyenne. I need to find it and read it again! I sure love my Frank! He has, as my dad says, "A lot of personality!" Adults like that are people I love to be around. We'll get through this phase Frankie-- who can resist your smile and your love of music?! You make my heart skip a beat. And when you grow up and do wonderful things with that inquisitive mind of yours, we can sit back and look at these pictures and smile! This is where it began. You did this Mom, for me. And I would do it again if it meant I could have you as my boy! You're worth the trouble. Really awesome blog Ashley. And really insightful and helpful and interesting, maybe even a bit scary! ha. We love you and Frank. Oh bless you, Ashley. Wowie! All the pics had me dying, especially that I kept scrolling and scrolling because there were so many of his adorable adventures. :) He is so dang cute! I'm sure it's an exhausting stage. Hang in there! This too shall pass! Hey Ashley this is your cousin Rainey. These pictures are incredible! Each one worth a thousand words. You captured it all so well. Good luck with that kid.